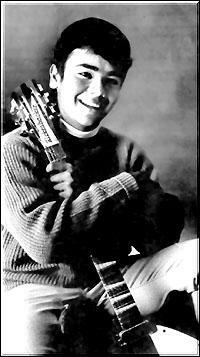 Billy's first promo photo 1965 (by Guy Webster). Brad: Before we get into the wild world of Billy Hinsche's musical career--I'd like to hear something about your parents. We're all familiar with Dino & Desi's parents, but please tell us a little about the Hinsche family. Billy: The Hinsche family is originally from Germany, the Black Forrest region specifically. My father, Otto, was one of 5 children and he was born of poor German immigrants in Hoboken, NJ, in 1893 (also the birthplace of Frank Sinatra [irony]). In the early 1940s he moved to the Philippines to start a supper club and casino in Manila with his American partners. The day after Pearl Harbor was attacked, the Japanese moved to occupy Manila. He was eventually incarcerated in a Japanese POW camp for civilians (Americans, Australians, nuns and priests, women and children) and spent 3 years in both the Los Banos and Santo Tomas prison camps respectively before being liberated by Gen. Douglas MacArthur (his hero, for obvious reasons) at the end of WWII. 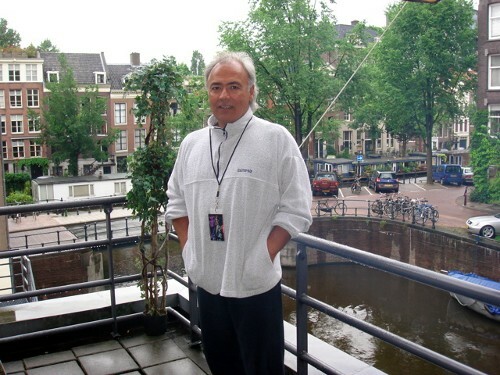 He met my young Filipina mother, Celia Bautista, when she and her friends went to his newly established Riviera Club on Roxas Blvd., located directly across from Manila Bay. When the Korean War broke out, Pop (as my sister, Annie, and I called him) decided to get away from any more war zones because of his experience. He retired from his businesses (which included being the owner of a rattan furniture factory) and moved the family to Los Angeles in 1954; I was 3 years old at the time and my sister was 5, and we ultimately moved to Beverly Hills in 1957. Contrary to popular belief, because the PR machine at Reprise and other writers didn't know my father's true background, he was not a Realtor and did not sell homes to Dean Martin and Lucille Ball as has been previously written; nor did DD&B meet on a Little League baseball diamond. We all went to the same grammar school at Beverly Hills Catholic. Dino was in my class along with Lucy Arnaz (Desi's older sister) and Desi was in a grade just below us. Dino and I became the very best of friends at age 7 and we both befriended Desi a few years later when we asked him to join us to form our band. Brad: You seem a very natural musician, born with a curiosity to experiment with different instruments. Let’s see, you play piano (and anything else with a set of keys attached), violin, ukulele, harmonica, and of course guitar. Which instrument brings you the most joy when you listen to the actual recorded version? Billy: Please don't forget that I also play bass (when called upon to do so) and performed at this position with the Beach Boys for several tours in the early 1970s, learning the bass parts for the upcoming tours while living in Holland with the "Boys" and their families during the time they were recording the album of the same name. Though the piano is my first instrument that I began taking lessons for at age 3 (private tutors at home) and the instrument that probably most defines who I am, I have a real love for the guitar. I can hold it close (unlike the piano) and while performing live it frees me up to roam the stage, unlike being anchored to the piano. This is a "Sophie's Choice" question I cannot answer simply, so let's just say I have an equal love for both whether on record or live. Dino, Desi, and Billy taken on the Warner Brothers back lot circa '66. Brad: I love the origin story of Dino, Desi, & Billy getting signed. You guys were just fourteen and got signed by Frank Sinatra for his Reprise label? Billy: We originally started rehearsing at Lucille Ball's house, but we quickly outgrew the small stage area in one of the guest houses and moved our permanent headquarters to Dean Martin's house, where there was a similar area we could rehearse in the den which was also the pool table room and projection room. Jeanne (Martin), after listening to us diligently rehearsing for many days, weeks and months, called Frank Sinatra to come over to the house and have us audition for him with the hope he would like us enough to sign us to his label, Reprise. If it was already a foregone conclusion that this would happen, we were not aware of it. Brad: In 1965 at the height of the Beach Boys craze and Beatle mania--you guys had two hits: “I’m a Fool” and “Not the Lovin’ Kind.” Was that heavy-minded for you to handle as a fourteen-year-old? Were expectations (and pressures) abnormally high, with an assumption that you kids were coming from a sort of privileged background? Billy: As a fourteen-year-old, it was just so much fun, so exciting and so much more than we could have dreamed possible. I don't believe we were all that concerned about pressure or expectations. We were simply having the time of our lives. However, our very first release was called "Since You Broke My Heart" (writer: Phil Everly / "We Know" (writer: unknown) that we even performed on the Hollywood Palace television show (still in black and white / not yet color TV) on Saturday, November 28, 1964 and hosted by singer Tony Martin (who's son, Tony Jr., we all befriended in later years). The single went nowhere and sold nothing, never even charting on either the Billboard or Cash Box Hot 100. It wasn't until our Producer, A & R man Jimmy Bowen, brought in a new producer, Lee Hazelwood, that we had chart success with "I'm a Fool" (writers: Red West / Joey Cooper) and then "Not the Lovin' Kind" (writer: Lee Hazlewood). Dino, Desi & Billy performing "Since You Broke My Heart" at the Hollywood Palace. Brad: Wow, you guys weren't even fourteen yet--12 & 13, and it was a good song. Billy: Regarding "privilege"--I always like to mention that story about our first single not making it at all, and follow up by adding that you can't make people buy your product, no matter how much privilege precedes. There was always some resentment, jealously and misunderstanding [of us] and of who we really were that always seemed to follow us around, and for me, that holds true even to this day. Brad: After that initial meeting did your group have any other significant interaction with Mr. Sinatra? Billy: I only encountered him one more time at a Martin party at Dean's house. He came into the living room, practically bouncing as he walked up to say hello to me and Desi and asking, "Where's your leader?" (meaning Dino) and to which I think Desi and I found surprising, since both of us thought "we" were the leader! I must say, I will never forget how his eyes were absolutely a striking shade of blue. I never saw him again in person until John Stamos took me to see him perform at the Long Beach Arena in the early '90s. Brad: You played lead guitar for Dino, Desi and Billy with a now classic twelve-string Rickenbacker guitar. Rickenbacker released 500 custom “Carl Wilson” guitars, similar to the one you played in 1965, in both six and twelve string editions. Did you get your hands on one of those? Know where we could get one? Billy: I helped bring this guitar to the public. John Hall (RIC President) asked me if Carl would consider letting them do a limited edition series like they had done for Lennon, McGuinn, and others, since John knew of the connection with me and Carl. Carl was quite flattered and accompanied me to the factory in Santa Ana to talk more about it. Then he became ill, and we lost him to cancer in 1998. Carl and Annie's sons (my nephews), Jonah and Justyn, completed the task of finalizing all the details of the limited run and it was released in 2000 (photos at billyhinsche.com) and sold out in just a few months. Naturally, I got one for myself. It is serial #003. You can still find them in certain stores or on eBay. 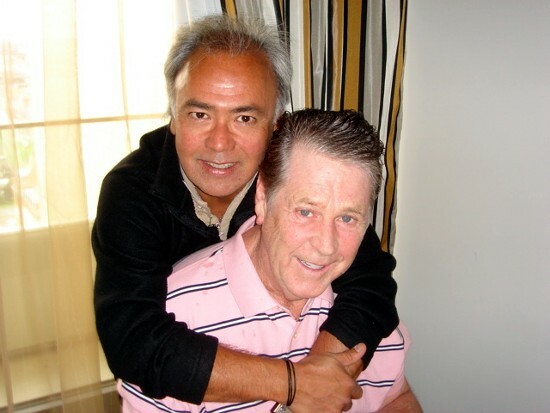 Brad: Tell us about your relationship with Carl Wilson—mentor, friend, and family member. Billy: I first met Carl and the rest of the Beach Boys at a soundcheck on July 2, 1965 at the Hollywood Bowl in preparation for a show the following day that would include Sonny & Cher, the Byrds, the Righteous Brothers, the Kinks, DD&B, and headlined by the Beach Boys. 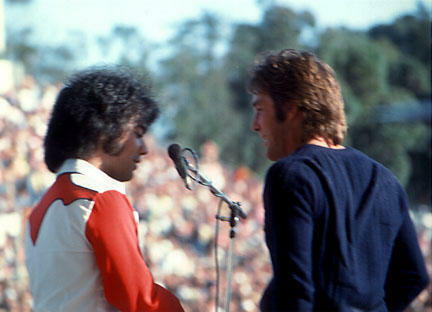 They still wore striped shirts and white pants and Brian played that show too, as he had not yet retired from the road. Carl was instantly so gracious, kind and welcoming to us and the same for the rest of the guys. Since Carl and I were both playing identical Rickenbackers, we felt a further kinship I think. He was a gentle young man, soft-spoken yet very direct, especially when he looked you right in the eye when conversing. He had no pretense and though he was already incredibly famous, he just acted like a regular guy. The friendship began right there and lasted for the next 33 years. The show went very well and the Beach Boys liked us so much that they asked us to continue touring with them to Bakersfield and Fresno and then to Hawaii (Oahu). It was during this time that my relationship with Carl grew even closer and I also enjoyed Dennis' company as well. I would find myself hanging out in Carl's room during the "down time" at the hotels, just getting to know each other a little better. It was a thrill for me, as I was a bit star struck and in awe of him and the rest of the guys whom I had come to know only by their records and from seeing them on television appearances. My sister, Annie, met Carl through a mutual friend and they began dating in mid 1965 and married in 1966. I remember how excited I got whenever I answered the phone and it was Carl calling our house to speak with her. They would talk for hours, even if Carl was in Japan. I spent so much time with Carl & Annie and went everywhere with them, especially after they got married. Carl always included me in whatever they were doing and it was fun to go to recording sessions with him or out for dinner or whatever. I was a permanent fixture at their home too, spending just about every single day with them. Carl was a loving, doting father when Jonah and Justyn were born and took fatherhood very seriously. I was asked to be Jonah's godfather. 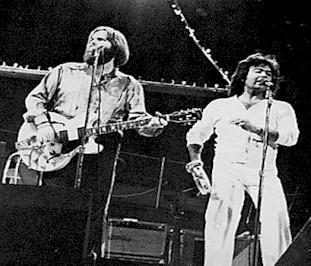 Carl Wilson & Billy onstage during a Beach Boys show circa '76. Professionally speaking, Carl was generous in always trying to include me in musical projects such as playing harmonica on the "Party Album" on "Mountain of Love" and then offering a permanent place (along with the rest of the guys) in the Beach Boys to replace Bruce Johnston (so I was told) around 1968 when the guys felt they needed a change. Regrettably, though I was ready to accept their offer, my father wanted me to finish my education and so I had to turn them down. Though they were all surprised by this action, they were all supportive and continued to hire me as a sideman whenever there was a tour and my schedule would permit. Carl (and Dennis too) was very willing to let me film and video documentary footage of the group to coincide with various school projects, thus incorporating my education into my work situation. There was a job waiting for me [with them] after I completed UCLA in 1974 with a Bachelor of Fine Arts Degree in Motion Pictures & Television. Carl and I worked side by side on a few other musical projects such as singing background parts on Elton John's "Don't Let the Sun Go Down on Me" and on the Jackson Browne-produced "Desperadoes Under the Eaves" for Warren Zevon. 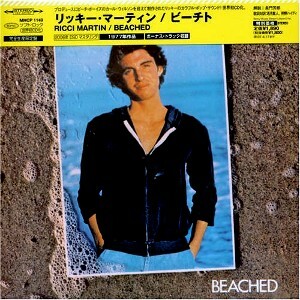 We co-produced Ricci Martin's 1977 [critically acclaimed] album, Beached, with a who's who of great musicians [Peter Cetera with Chicago's horn section, Van Dyke Parks, Jim McCullough of Wings, Ricci Fataar of the Beach Boys ...] backing Ricci up. I was also the only Beach Boys musician that he asked to be a part of his band during his solo touring years in the early 1980s. currently selling on the collector's market for as much as $150.00. Though there were some stressful moments during our long friendship, especially when he and my sister separated, we never stopped loving each other and he never stopped reaching out to me even until the very end. His very last words to me on the phone were to invite me over to the house sometime for a visit. In summation, I will give you some adjectives that best describe the Carl Wilson that I knew: kind, generous, funny, fair, honest, hard working, sincere, loving, humble, supportive, friendly, accessible, professional, spiritual. In short, a tremendous human being. Brad: While hanging out with Dennis Wilson, you ran into the Maharishi and Charles Manson? Tell us about that time period with Denny. Billy and Dennis Wilson 1973. Billy: I have been writing a book for a long time and one of the chapters is titled "From Maharishi to Manson" since I met them both within a 24 hour period of time. It started one evening with a Beach Boys group meditation with Maharishi (not "the" Maharishi as everyone seems to think and write) at a condominium complex in the San Fernando Valley. After this tranquil encounter, I went with Dennis to his log cabin home on Sunset Blvd. in the Pacific Palisades to meet the new occupants of his home. He was very excited to share the experience with me and to meet their "leader," Charlie, some sort of guru to the group. I spent the night and met most of the family the next day, Charlie included. He struck me as an interesting fellow but it took me a while to "get" why he was so influential over all these people and to an extent, on Denny too. He was just a manipulator who talked a real good game. Dennis had him play some of his songs for me which he did, accompanying himself on an old acoustic guitar and strumming only with his hand, never using a guitar pick. Some of the songs were just OK, while others were downright strange, disturbing and macabre. I even drove Denny and Charlie to Brian's home in Bel Air for a recording session of Charlie's songs, since neither one of them had a car that day. After a few more visits to Denny's home and spending more time with everyone, I got the distinct feeling that this crowd just wasn't my kind of people and decided never to return. It wasn't long after, that Denny came to the same realization and threw everyone out. Brad: I edited a Charles Manson interview a few years ago and had a hell of a time deciphering Manson's crazy rambling dialog. I thought it was interesting that he wanted a guitar (given to him by photographer Michael Montfort) in exchange for the interview. I guess he still sees himself as some sort of a musician. We know that you’ve played live with the Beach Boys for many years, even taking the lead vocal on “Sail on Sailor.” Tell us about some of the recordings you’ve made with the band. Was the Party album your first? Billy: Yes, the "Party" album was first, so you could say that my affiliation with the Beach Boys started in 1965, forty-two years ago. My main role, it seems, has been as a touring musician and vocalist for the group. However, I had a choice vocal part on the "Bicycle Rider" section of "Heroes & Villains" singing "do-do-do-do-do-do-do-do" in that section. Though it looks funny in print, Brian really mixed it in at a very discernible audio level and it takes a rather prominent position in that vocal section. I got to sing it again on this last tour with Brian. He and I talked about that recording session one day while riding through the European countryside in his beautiful touring bus that I got to share with him along with Jeff Foskett, Paul Mertens and Bo Chung, Brian's new, young assistant. While in Holland, Brian gave me another outstanding vocal part on "Funky Pretty" during the "tag" section. It goes, "yea, Funky come back, Funky come back" over and over again. prior to the show. Photo: Bo Chung. Carl eased me into one of the background vocal parts they were working on for "Darlin'." "Rock & Rock Music" was another one that Brian gave me a very cool part on in the chorus - "Rock, roll, rockin' and a roll," etc. I played a guitar part on that one as well. Denny let me play guitar on his "River Song" and sing some background vocals too. I sang the original lead vocal on "Honkin' Down the Highway" but Gene Landy had it removed and replaced it with Al Jardine's vocal, to give me a personal taste of how much clout he had. We never really got along that well and I don't miss him now that he's gone. Of course, there was the entire "Live" album circa 1972 that won such critical acclaim and for which I was presented a gold record. My first and still my most treasured gold record. I'm sure there are more, but I can't remember them all right now. Billy: So tough to answer, but "God Only Knows" seems to trump every other song. Brad: Tell us about touring with the Brian Wilson Band. Does it differ much from performing with the Beach Boys? You’re back on lead with “Sail on Sailor” and the shows are absolutely amazing. Fan footage of Billy performing "Sail on Sailor" with the Brian Wilson Band. Billy: The touring aspect was a little different from what I am accustomed to. The Beach Boys reached a level where we were flying to each city in a magnificent, well-appointed BAC 1-11 corporate jet; but I am old and spoiled now, and don't really care for traveling in a bus, no matter how nice it is. But it is something I just had to get used to. I find that trying to sleep in a bunk during an eleven hour overnight trek to be slightly claustrophobic and it weirds me out a little. I was fortunate to be on Brian's bus which was brand new and beautifully decorated. It had all the conveniences you could imagine, but it was like traveling in a small boat, if you know what I mean. Close quarters and one had to do a constant balancing act just to walk to the bathroom. But there was never a lack of good conversation and good company with Brian, Jeff Foskett, Paul Mertens, and Bo Chung. The rest of the band traveled in a separate bus. The only commercial flights we took were from Vienna, Austria, to the Isle of Man, UK; and then back to the mainland of Glasgow, Scotland. The last flight was from Glasgow to Dublin, Ireland, then home. As far as performing, the songs are the same, it's just the personnel that has changed, save for Brian. Back in the old days, everyone sang the part they were given on the record with additional vocal parts being given to people like me to help cover all the additional parts, like the overdubs, since there were layers and layers of parts on some of the later material starting around the time of "California Girls." Once in a while, a vocal part might be doubled, but it didn't happen that often. In Brian's band there are times that certain vocal parts are doubled at certain times. Though I had my own specific vocal part on every single song on the Brian tour, Nicky Wonder and I share a vocal part at times, and Nelson Bragg and I share a vocal part at times. On the other hand, when I perform with Al Jardine, he doesn't allow any parts to be doubled - that's just his approach and that is fine too. The only songs in Brian's set that I had never played or sang are "Drive In," which I found to be a real fun song to perform, and quite different from the rest of the set in terms of its simplicity of lyrics, chords, and general overall feel, and also "When I Grow Up (to be a Man)," a difficult song to learn, but a joy to perform because the song means so much to me. It was also nice to revisit "Caroline, No" and "Marcella," both of which I have played many times with the original Beach Boys lineup. Over the years, my physical position on the stage has changed many times, i.e., sometimes I would be on the front line, stage left or stage right, or on an upstage riser either stage left or right, but with Brian's band my position was behind Gary Griffin on a riser, stage right, directly next to Probyn Gregory. I got a nice bird's eye view of everything from that vantage point. For "Caroline, No" and "Sail on Sailor" I move downstage and take Gary's position at one of his keyboards. Brian didn't have the use of a TelePrompTer for this tour, as several pieces of luggage went missing right from the start of the tour and were never recovered, lost somewhere in the bowels of Heathrow Airport, UK. As a result, Brian was simply being himself and introducing each song in his own, spontaneous way, unencumbered by any written text. What was most touching to me was how he introduced me for "Sail on Sailor," referring to me as a "family member." I can't tell you how much that meant to me. He had tired of singing "Sailor on Sailor" early in the tour, and before we even left for Europe I began singing it again during the California leg, perhaps to give himself a little break from his prodigious vocal duties. So it was my good fortune when he offered it to me. I was probably the only person who could remember all those tongue-twsiting words anyway. I took the responsibility very seriously, knowing that Brian sat only a few feet away from me on my left, and wanting to do the very best job I could for him. I was delighted when he took Carl's vocal part in the third and last verse, singing the "answers" like Carl used to do - "I work the seaways / oh the seaways," etc. It was a privilege to be the only band member to have a solo song during the show. Brad: You wrote “Lady Love” with Brian Wilson? Tell us about that experience. Billy's birthday. Friday, June 29, 2007. Brian's suite, Westin Hotel, Leipzig, Germany. Photo: Jeff Foskett. Billy: Brian, Dennis and Carl would often come to our house for dinner, especially after Carl & Annie got married. My father would ask Brian, "So when are you going to write a song for Dino, Desi & Billy?" He kept this up for a long time, maybe even a few years. Finally, Brian called me up one day and said he was working on a song for that might be good for DD&B and invited me over to his home in Bel Air to hear it. I went over right away to hear a song called "Lady Love" that was still incomplete. He played it for me on the upright piano in his living room. I added a few words and ideas and recorded it with Dino and Desi a short time later. It was a hit for us and I am very proud that I share a writer's credit, albeit it's a minimal contribution, on a song with Brian Wilson as co-writer. Brad: You’ve also gotten back with your longtime pals Desi Arnaz, Jr. and Ricci Martin to form Ricci, Desi, & Billy. How’s that going? Billy: We did a few shows here in Vegas and also at Desi's Theatre in Boulder City, NV. We even recorded a few live CDs (go to: riccidesibilly.com). But since that time Ricci has created a show honoring his father, Dean Martin, and I am his Musical Director (go to: riccimartin.com). We have played across the U.S. and Canada to standing ovations and very appreciative audiences. As a result, Ricci's focus is primarily on that show and not so much on performing as Ricci, Desi & Billy. With my work schedule with Al Jardine and most recently with Brian, it makes it difficult for me to go back into rehearsals as RD&B too. You might say that we are "on hold" for a while as far as live shows or any more recordings. Brad: As of the summer of 2007—what else should we know about Billy Hinsche? Billy: Over the weekend I will be going to Kalamazoo, MI, for another Golf event sponsored by the Carl Wilson Foundation (go to: www.carlwiosonfoundation.org) of which I sit on the Board of Directors. The Foundation was formed by Jonah & Justyn Wilson to honor the memory of their father and to raise money for cancer awareness, prevention and treatment. I am extremely proud to be a part of this ongoing effort, especially in Carl's name. I have a few shows scheduled with Al Jardine at the end of this month in both CT and NY (go to: www.myspace.com/billyhinsche.com) and I look forward to working alongside Al again as his Musical Director. He has a kickin' band and his voice is still outstanding. There are more shows scheduled for me as Ricci Martins' MD for "Dino," the tribute to Dean Martin. I recorded a live CD in Las Vegas on September 2, 2006, with some young Vegas cats from the local area called Tripsitter, billed as Billy Hinsche of Dino, Desi & Billy. The setlist included many of DD&B's songs, my own material, "Sail on Sailor," a TV theme song I wrote called "Automan," and my only solo single release called "Music is Freedom" that was originally recorded at Brian's studio and co-written with Jack Rieley, who co-wrote "Trader" and "Feel Flows" with Carl Wilson for the Surf's Up album. There is a special guest appearance and performance by Desi, who plays drums on my final two songs, "Not the Lovin' Kind" and "I'm a Fool." I plan to release it quite soon and perhaps call it "A Fool in Vegas" as a nod to DD&B's first hit record. You would find it at cdbaby.com along with my two other CD releases, Bay of Plenty recorded live in New Zealand in an "unplugged" approach, and Mixed Messages that is a compilation of my thirty years of writing and recording of my own material. I have helped create a Beach Boys type live show with the Tripsitter guys and we call the group Good Vibrations. They have played a bunch of shows in and around the Vegas area and I am pleased to pass the torch to them. I continue to teach young people how to play guitar and piano when time permits, and work on my book whenever possible. I kept a journal (191 pages) on Brian's tour along with 150 photos that might find its way to the public sometime down the line. There might be some more dates with Brian in the future and perhaps some recording sessions too, but only time and circumstance will tell. Thanks for giving me this opportunity to answer your questions. Brad: Thank you, Billy. Your contribution to entertainment and charity is outstanding. You're a rock & roll hero. Keep up the great work. "Billy Hinsche Interview" by Bradley Mason Hamlin. Copyright © 2007 by Mystery Island Publications. Published: 07.21.07 by Mystery Island. All photos of Billy Hinsche (and friends) from the copyrighted collection of Billy Hinsche. Used with permission. All rights reserved.